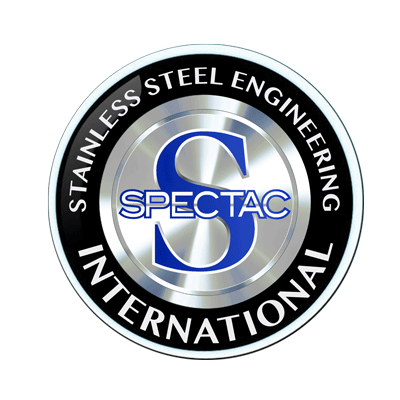 At Spectac International, we have over two decades of experience in manufacturing innovative stainless steel vessels and solutions, providing companies with the highest quality of equipment enabling them to produce the best pharmaceutical products. Our top of the range pharmaceutical vessels are meticulously planned, tailored, project-managed and delivered on-time. Using stainless steel manufactured vessels brings an array of advantages and makes the production process much easier and more cost effective for the user. First of all, all stainless steel vessels have a high corrosion resistance, even at elevated pressures and temperatures. Stainless steel vessels have extremely high and low temperature resistance, maintaining the highest of strength and solidity throughout. They also offer an aesthetic appeal and they are easily maintained meaning they have a pleasing appearance in the production process and always look clean and new. This means that the hygienic advantages that come with stainless steel vessels mean they are the first choice in most production facilities. 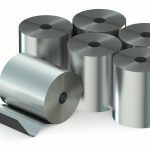 Given that stainless steel is durable, another key benefit of using these vessels is that it is often the least expensive choice when it comes to a life cycle cost comparison. We most commonly see stainless steel vessels being used in medical, food and pharmaceutical processing facilities. 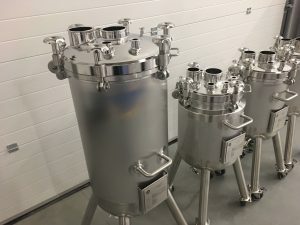 High quality vessel that facilitates the sterilisation of vessels after each batch is handled and before the next batch is processed, thereby eliminating the risk of bacterial growth. Used in the Pharma, Chemical and Biotech sectors, often to handle ointments, drugs or food/drink. Bio-reactors handle batches of materials which are acidic and highly corrosive, such as chemicals in the Chemical and Pharma sector. Each vessel is custom-designed depending on the handling requirement, location and other key criteria. 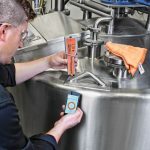 Clean-in-place (CIP) vessels offer substantial advantages to manufacturing facilities, from efficient and reliable cleaning of process equipment and piping at lower cost to improved product quality. By removing impurities and producing de-ionised water, these stainless steel tanks ensure maximum service and high quality output for the user. 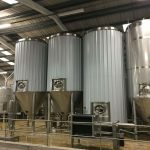 High quality and hygienic standards for our bespoke fermenting vessels (also can be known as Uni-tanks). We produce superior finished tanks that are factory tested in-house at Spectac International. 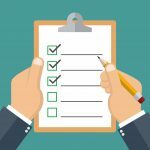 For safe and proper storage, chemical and pharmaceutical companies employ us to design and produce their holding vessels. We ensure that all our holding vessels meet all legal and health requirements. Mixing tanks produced by Spectac International are all manufactured to order. Our stainless steel tanks are manufactured to specific customer requirements and CAD drawings are used to ensure all specifications are met. Accurate temperature controls and energy efficient heating of the materials is essential. Shell and tubes are usually built to handle drugs, ointments and chemical mixes. Skid-units are designed for short-term processing and are mobile to move easily around the facility, to be used as required. They usually combine a mix of vessels, pumps and heat exchangers on a suitable platform. 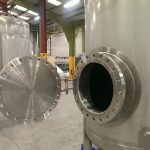 Spectac International has been in business for more than 25 years and is a leading manufacturer of stainless steel vessels, tanks and equipment for the Pharmaceutical industry, as well as others. 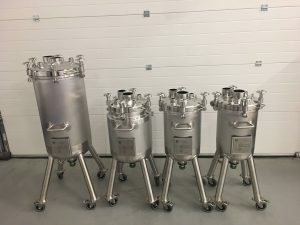 To view case studies on the stainless steel tanks we have manufactured for our clients in the pharmaceutical industry, click here. If you have any questions about our products and services and would like to know some more information, please do not hesitate to get in touch with a member of our team today. We carry out: NDT (non-disruptive testing) dye pen and x-raying when required during the production process. Third party certification: We have a partnership TUV Rheinland for the design appraisal and certification of pressure vessels when required. All our stainless steel is EUROPEAN sourced directly from the mills, so we can control quality. High standard finishes: Spectac International carry out polishing to a high service finis/electropolishing to improve a high surface quality where required. 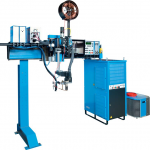 Welding procedures: Automated plasma tig welder which is the only one in Ireland of its kind – eliminates human error and gives a concentrated beam – reducing overall costs, labour and increasing overall quality and efficiency.